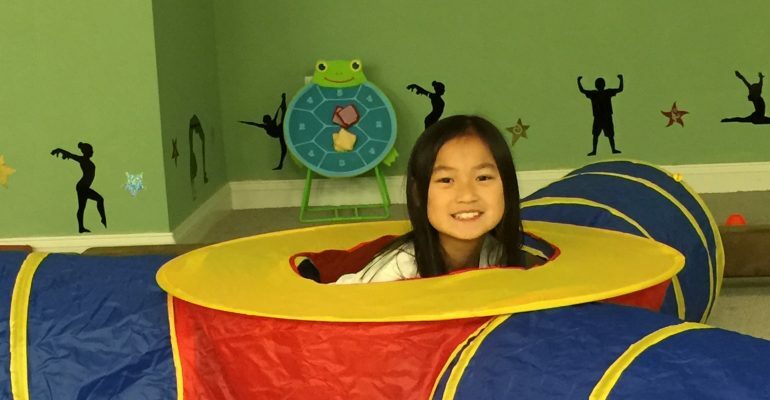 Kinder Star is the perfect class for your 3 – 5 year olds! It is the perfect beginner gymnastics class. These cuties will learn gymnastics basics and safety while having FUN of course! They will romp and roll around our Kids Gym, while ending class with a plunge into our special pit made just for kids!